As you can see from the picture, it adds the amount that costumer saves, right under the price, when there is a special price for the product. It works no matter if there is a Tax or not. It also shows the amount in percentage that costumer save.. This extension will Superscript or Subscript (by your choice) the decimals of the Price, and you'll end up with a much nicer look of the Price. It will change the look of the Price on the following pages: - Wishlist - Bestseller - Featur.. 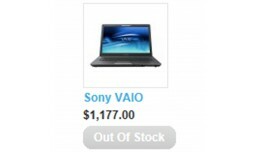 This extension will disable the Add to Cart button for all products that will have or reach 0 quantity, and it will put a sold out image over the default product image. Those changes are effective all over the OpenCart, i.e. on every page where .. The name says it, the pictures show it. Adds the Products' Availability on the Category Pages (on both, List and Grid View). 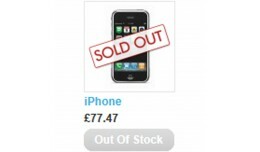 It will show the name of the stock status, i.e. In Stock, Pre-Order, Out Of Stock, 2 - 3 Days, etc. 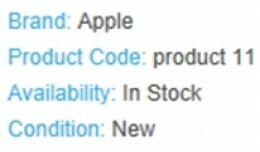 so the costumers ..
You can choose if it will disable the "Add to Cart" button, and replace the button's default text "Add to Cart" with the Out Of Stock Product's text, i.e. whatever text you want to be shown for all sold out products that have 0 (zero) quantity, ..
Out of Stock with enabled / disabled Add to Cart.. 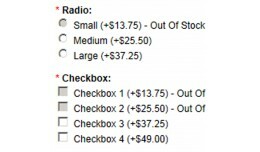 This extension disables the ability to select an option that has 0 (zero) quantity, and puts an "Out Of Stock" text next to it, so the costumers can know why it's not available to be chosen. You can change the "Out Of Stock" text to whatever oth..
One Click Catalog Mode - The name says it all, you can make your OpenCart powered site to be in Catalog Mode with just One Click. It will remove all the necessary elements from OpenCart, so your site can work as a pure catalog. No Add to Cart bu..
One Click Catalog Mode - FREE Adjustment for Cus..
As simple as it can be. Choose the products you want to promote for the Day, Week and Month. Totally independent from each other, i.e. you can install/uninstall those three separately. Simple installation, no files are overwritten, no comp.. 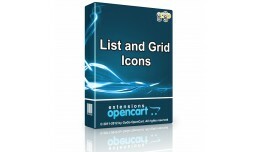 This extension replaces the default Display text: "List / Grid" everywhere in the OpenCart where it's shown. So, what you'll get from this? Very nicer look, as you can see from the pictures. Installation is as simple as it can be, just open t..
Add Item / Product Warranty to your items / products, so your customers can know what warranty those items / products have. 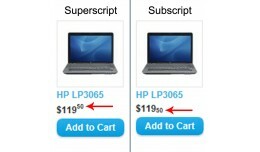 You can choose from 20+ pre-defined warranties, or you can add your own. 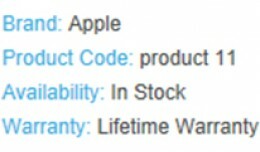 Here's the list of the pre-defined warranties in..
Add Item / Product Condition to your items / products, so your customers can know in what condition those items / products are. You can choose from 20+ pre-defined conditions, or you can add your own. Here's the list of the pre-defined condition..
Do you want a total control of which products are shown in Bestsellers, Latest and Most Viewed boxes? Then, this extension is just for you. You choose which products will be Bestsellers, Latest and Most Viewed, not OpenCart by automatically p.. 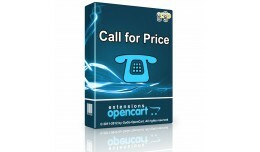 This is a bundle of the following two extensions: Fake 'Em - Bestsellers, Latest and Most Viewed http://www.opencart.com/index.php?route=extension/extension/info&extension_id=3921 DEMO for 1.5.x: http://www.youtube.com/watch?v=ZF-rqtJas.. 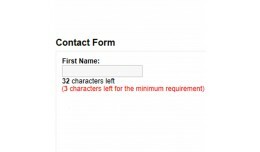 This extension will add the characters count and limit for the contact form. It will tell you how many characters are left to enter, as well as the minimum characters that are required. As you tape, the count is changed, and when the minimum is .. 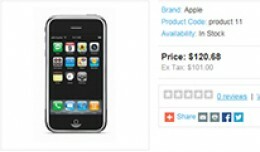 This extension will display "Call for Price" or any other text that you like, for products that have 0 (zero) price. It works independent from different currencies, multiple currencies, left or right currencies, etc. With other words, all you ne.. Call for Price with enabled / disabled Add to Ca.. This extension will add the default OpenCart's bulk image (no_image.jpg) to the products that don't have any images. It will also check if the image that is linked to the product is physically present on the server, and if not, it will show the .. Bulk Image for Products without Images - Display.. 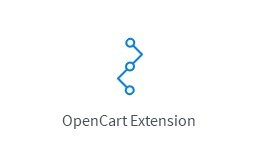 This is a combination of those two extensions of mine: Call for Price: http://www.opencart.com/index.php?route=extension/extension/info&extension_id=4067 Ask a Question: http://www.opencart.com/index.php?route=extension/extension/info&ex.. This extension adds another tab in the Products' pages, called Ask a Question, or whatever you want to name it, so your costumers can easily ask you something else they want to know about that particular product, via email, by simply filling the..